Tom Gresham (l) presents the bronze Grits Grehsam trademark hat to 2012 award recipient S.P. Fjestad.  The Professional Outdoor Media Association (POMA) and the National Shooting Sports Foundation (NSSF) honored veteran communicator and best-selling author S.P. 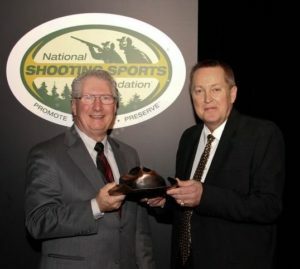 Fjestad with the prestigious POMA/NSSF Grits Gresham Shooting Sports Communicator Award during the Shooting Hunting Outdoor Trade (SHOT) Show State of the Industry dinner, Jan. 17, 2012. Tom Gresham presented the award. In honor of legendary outdoor communicator Grits Gresham, POMA and the NSSF developed the Grits Gresham Shooting Sports Communicator Award in 2005. It recognizes communicators within the firearms/shooting sports/Second Amendment arena who grasp the ideals, foster the commitment, and display the talent Gresham showed during his storied career. While working in the Investment Rarities (IRI) Firearms Division during the 1980s, Fjestad became the author and publisher of the Blue Book of Gun Values. With over 1.4 million copies in print, it remains the best-selling gun book worldwide. The Blue Book of Gun Values also has been pictured in Time magazine and listed as a reference source in the Wall Street Journal. Blue Book Publications, Inc. has won several Independent Publisher Book Awards (IPPYs) in the Best Reference category. A few include author Dennis Adler’s trio of black powder titles, including Colt Blackpowder Reproductions & Replicas, Black Powder Revolvers – Reproductions & Replicas, and Black Powder Long Arms & Pistols – Reproductions & Replicas. Over 30 years, Fjestad also has edited and published over 160 books on a wide variety of subjects, including firearms, airguns, black powder reproductions and replicas, automobiles, guitars, engraving, billiards and pool cues, ammunition, and others. Additionally, Fjestad has written and edited hundreds of articles for various trade publications. Nominations for the Grits Gresham Shooting Sports Communicator Award come from all corners of the shooting sports industry. Affiliation with a communications or industry organization is not required. Shooting sports industry professionals are encouraged to make nominations.